These restaurants, which offer everything from steak to casual comfort food, are well-worth a journey out to the foothills. The Loft Lounge. Photograph by Angie & Juan Photography. Brunching or lunching on the patio at this Priddis estate is a glorious summer experience. Equally glorious is the chef’s table experience – a multi-course menu designed by chef Yoshi Chubachi, that can be prepared for a large group or as a romantic dinner for two. The Loft Lounge is one of a trio of CRMR eateries located within the bustling new market just south of Calgary (the other two are the Loft Kitchen and the Loft Bakery, which offer counter service). 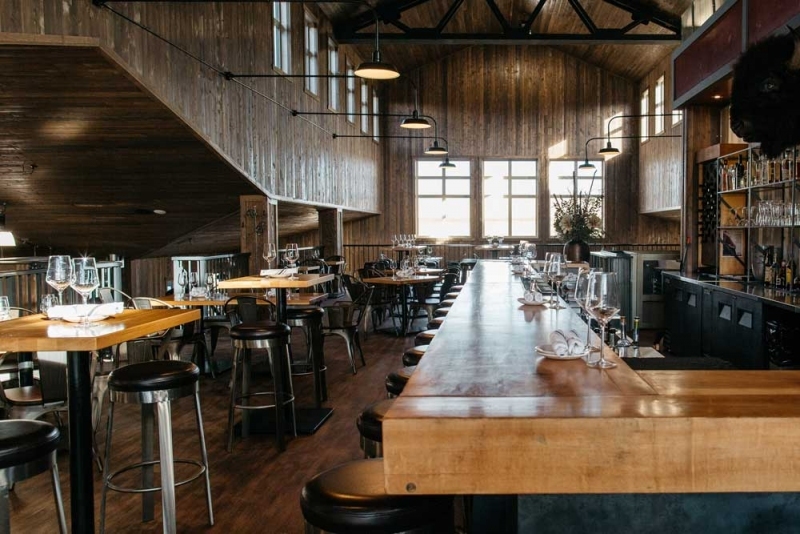 The modern-rustic space features a casual, comfort-food menu, a well-curated libations menu plus an expansive view of the surrounding landscape. Standout dishes include the CRMR bison burger, the Urban Butcher’s meatloaf and a 32-hour broth, a dark chicken broth with fresh noodles and roasted pork belly shavings. One would expect a great steak dinner in the heart of cattle country. Longview Steakhouse delivers in spades, serving the finest beef, cooked to perfection, in a friendly space that’s full of small-town charm. Plan well ahead as reservations here are hard to come by.